"Saucy Jack, you're a haughty one…"
A bunch of new tunes is heading to the online Xbox 360 and PlayStation 3 Rock Band library, including a number of classics from the one and only Spinal Tap. 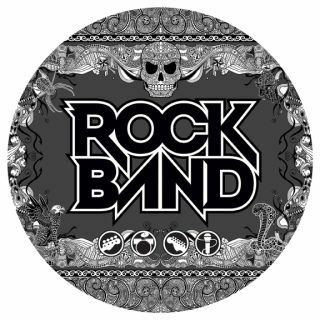 The Spinal Tap track pack on the Rock Band Music Store includes three Tap tunes from the band's new album Back From The Dead – specifically, 'Back from the Dead', 'Rock 'n' Roll Nightmare' and 'Warmer Than Hell'. The fourth is the classic 'Saucy Jack', David St. Hubbin's rock musical based on the life of Jack the Ripper. The tunes' memorable opening line, as any Tap fan will sing to you, goes: "Saucy Jack, you're a naughty one/Saucy Jack, you're a haughty one." According to Spinaltapfan.com: "In 1996, David reported that 'Saucy Jack has been workshopped within an inch of its life'. While mustachioed bassist Derek Smalls added: 'Its destiny is to be a work-in-progress.'" You can also buy a bunch of Evanescence tunes this coming Weds (on Xbox Live) and Friday (on PSN) including 'Bring Me to Life', 'Call Me When You're Sober' and 'Weight of the World'. Each track costs $1.99 (160 Microsoft Points for Xbox 360) each or $5.49 (440 Microsoft Points) for the Evanescence Pack and $6.99 (560 Microsoft Points for Xbox 360) for the Spinal Tap Pack. Tap's guitarist and vocalist Nigel Tufnell and David St. Hubbins were unavailable for comment on what they felt about these latest developments at the time of going to press. The only remaining question is this. Will gamers be able to turn the Tap tunes up to 11? Tap fans can buy the band's twenty-fifth anniversary album Back From The Dead this coming Friday and also get to see their heroes at Wembley on Tuesday 30 June. For more Tap hilarity, head to SpinalTap.com.